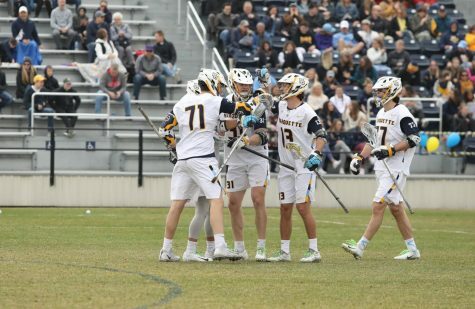 Big East play has been dramatic for the men’s lacrosse team this season, and the Golden Eagles’ home finale this weekend was no exception. 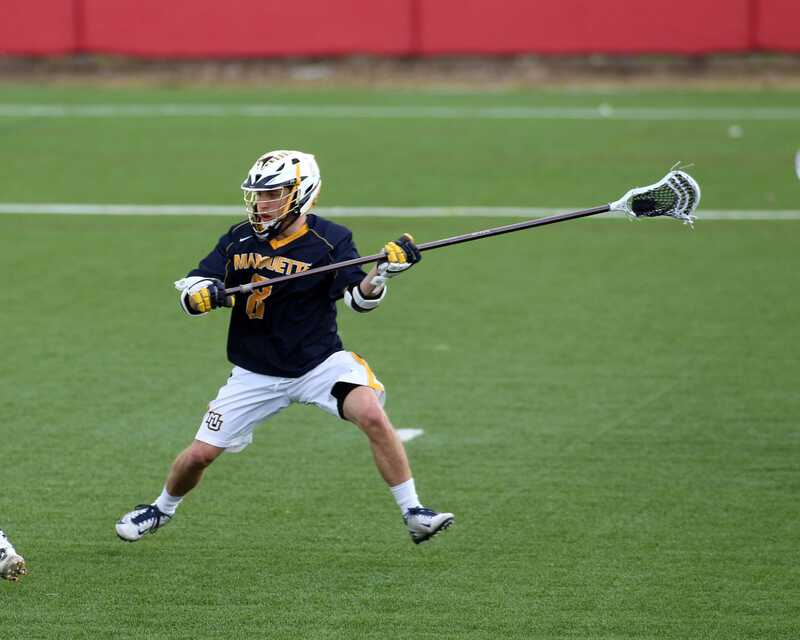 After trailing Georgetown 7-3 at halftime, Marquette stormed back to win 11-10 in overtime. 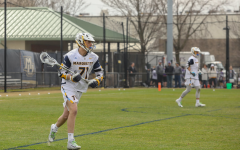 With four minutes left in regulation, redshirt senior Tyler Melnyk completed Marquette’s seven-to-one scoring run to make it 10-10, tying the game for the first time since early in the first quarter. Both sides had chances to win it in the fourth quarter, but neither was able to convert. Just more than a minute into overtime, freshman Ryan McNamara sent his teammates into a frenzy as his diving shot hit the back of the Georgetown net. At points in the first half, it appeared the game may slip out of Marquette’s grasp. After DeMichiei opened the scoring, Georgetown scored five unanswered goals. 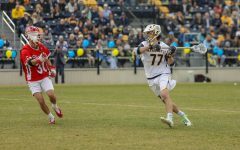 Marquette clawed back in the second quarter to make it a four-goal game at half, and Georgetown scored two goals 20 seconds apart in the third quarter to bring the deficit to six. 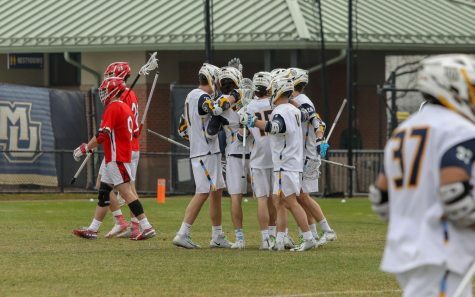 At the end of the third, the momentum started swinging Marquette’s direction, and the Golden Eagles never looked back. 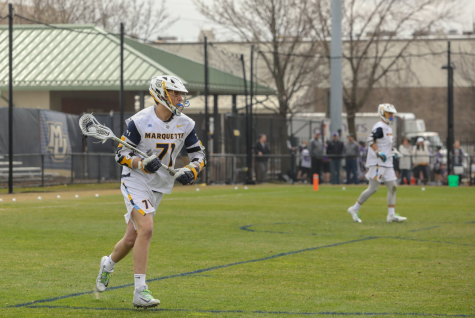 Although Marquette struggled on faceoffs, only winning nine of 25, its rally was largely fueled by gaining possessions through forced turnovers. The Hoyas had seven turnovers in the fourth quarter alone. 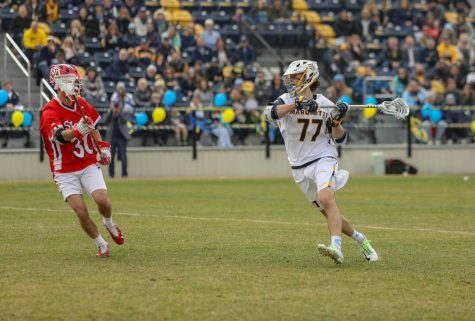 Leading the way was redshirt sophomore Liam Byrnes, who forced three turnovers and five ground balls. Byrnes was named Big East Defensive Player of the Week. 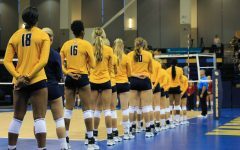 With the victory Marquette (6-8, 4-1 Big East) qualified for the Big East Tournament for the first time in program history. 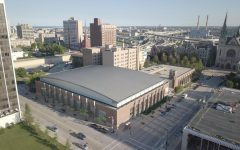 If Marquette wins its final game at Denver, the Golden Eagles would win the Big East regular season championship. Georgetown (4-9, 1-4 Big East) was eliminated from Big East Tournament contention with the loss. Three of the four tournament spots are locked up by Denver, Marquette and Villanova. Both Rutgers and St. John’s have a chance at the last position. 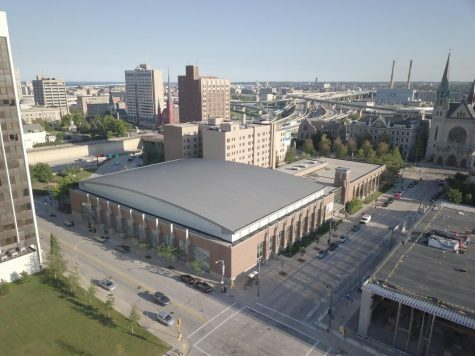 Marquette’s conference play could make any fan anxious. 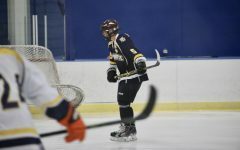 All five conference games were decided by two goals or fewer, four of which being one goal games. 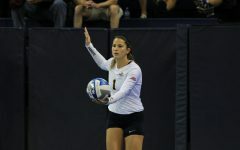 The Georgetown game was also the Golden Eagles’ second overtime victory against a Big East opponent. 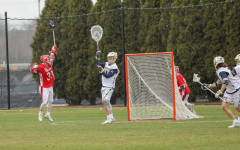 Marquette beat St. John’s in double-overtime April 6. Before the game, Marquette’s seniors were presented framed uniforms by their teammates to celebrate the team’s first Senior Day. 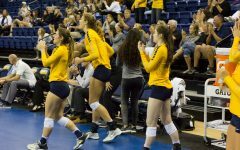 This group of seniors arrived at the university three years ago to begin the program. 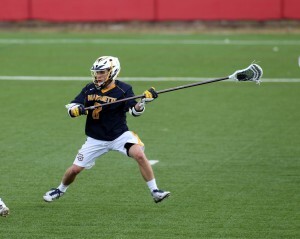 Melnyk led Marquette with four goals, three of which came in the fourth quarter run. The game was his first since suffering a hand injury against St. John’s. 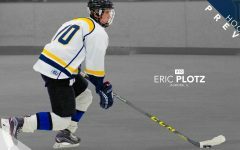 Redshirt senior Bryan Badolato scored three highlight-reel goals, showing his ability to navigate close to the opponent’s net. 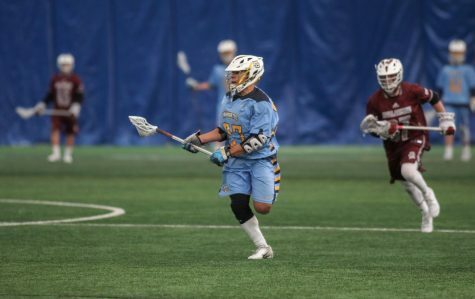 Sophomore Conor Gately scored a goal and had two assists, one of which was on Melnyk’s game-tying goal. 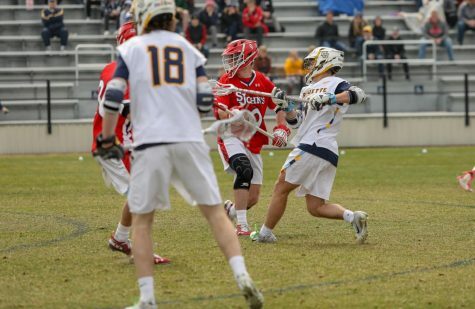 Junior attackman Bo Stafford led Georgetown with three goals and an assist. Junior Reilly O’Connor scored two goals, while sophomore Corey Parke and senior Jeff Fountain each had a goal and assist. 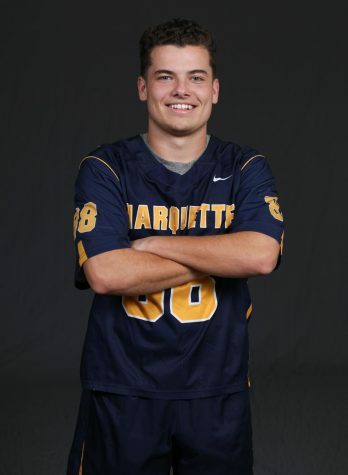 Freshman Jimmy Danaher made eight saves on the afternoon for Marquette. 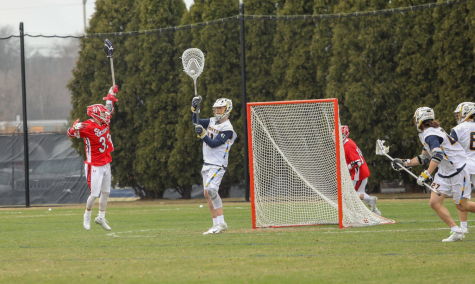 Georgetown goaltender Jake Haley finished with eight saves as well, including some sprawling blocks which kept Marquette within a comfortable distance in the first half. 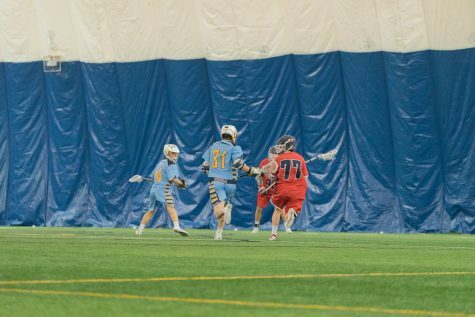 Redshirt senior Cullen Cassidy struggled early at the faceoff x and finished the day five for 15. 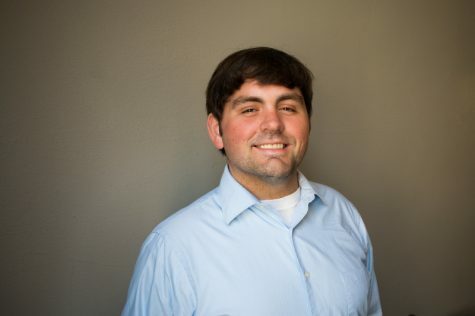 Amplo said he believes one of the big turning points in momentum was swapping redshirt sophomore long-pole middie Tyler Gilligan into the faceoff circle in the second half. Gilligan won four out of 10 draws. The Golden Eagles finish off their regular season Saturday against No. 3 ranked Denver. The Big East Tournament starts May 1 at Villanova.